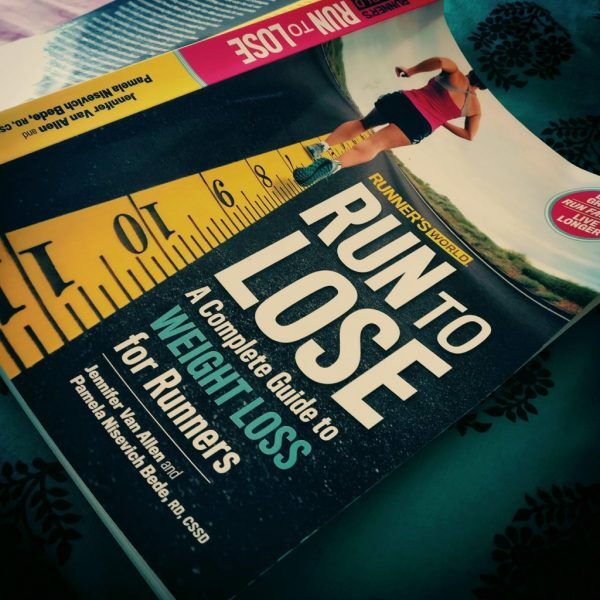 Just to remind you – am doing this series on Weight loss for Runners from the book – Run to Lose written by Experts under Runners World. My first two articles on weight loss from the same book are on Sugar and Carbohydrates. This is the 3rd article in the Weight Loss Series – This one is all about Weight Loss and Protein. But not all high protein foods are healthy. Often proteins is added to the processed packaged foods along with artificial additives, calories, sugar, fat, and sodium to make the products taste good. So you’ve got to carefully inspect the Nutrition Facts Panel. A 1 ¼ cup serving of a cereal with added protein has 7 gms of protein – more than the 4 grams of protein in the original variety. But it also has 100 more calories and 16 additional grams of sugar per serving compared to original. Another high protein candy bar has 20 grams of protein, but it also has other candy bar like attributes : 290 calories, 9 grams of fat, and 22 grams of sugar. Given all of this – how as a runner with extra need of protein are you supposed to lose weight? If your protein intake is low, you may start to feel fatigues, lose muscle mass, become run down and increase your risk of illness and injury. The book has made some great recommendations but not all work for many reasons – some of the stuff is hard to find in India and even if you do – they turn out very expensive. Some stuff is available only in metros and is still hard on the pocket. I’ve taken the Indian variant of some of the options given in the book and also they are easily available. The list is a mox of non-veg and veg sources of Proteins. Egg Whole: Rich in protein and choline – a nutrient not found in many foods that is vital for brain health. Chose Omega 3 –enhanced eggs. (these are slightly expensive) to increase your intake of healthy foods. 1 whole egg has 6 grams of protein. Egg White : Especially for runners looking to shed kilos and still not wanting to compromise on protein intake this is great. One egg white offers good mount of protein for very few calories. 1 egg white has 3.6 grams of protein. 2. Greek Yogurt: This is expensive. And may not be available at all stores. Do not aim for full fat greek yogurt. The thing is that greek yougurt contains much more protein, calcium and vitamin D than the regular curd we have at home. 5.3 oz of grek yogurt is 17 grams of protein. That’s a lot. But do go for the low-fat or fat-free version! However, I am not stuck on this. I still don’t indulge a lot in greek yougurt and I have my own ghar ka dahi (homemade dahi). Whatever protein it gives, am fine with it because I do eat a lot of beans in my regular diet. Chickpeas – promotes bone health and helps regulate blood sugar! Which Is exactly what we want. Protein without gaining weight. 1 cup of chickpeas is 12-15 grams of protein. I eat them boiled as a salad and of course rice-chole is great. But watchout on the portions. Kidney Beans – Rich in iron (which we runners need a lot) and also in fibre. 1 cup of rajmah as we call them are 13 grams of protein. Black Beans – Warning – they are expensive and not available at every general store. The book does recommend them because of 1 cup of black beans has 15 grams of protein. These beans play a very important role in heart health and circulation! 8) Almonds : I am a fan of Almonds and rarely go by a day without them. They feature in my oats, in my shakes, and sometimes just a handful of them are great! The book says almonds contain Vitamin E, am antioxidant that boosts circulation; many runners fall short on it because there are so few good food sources. They are rich in protein as well. They are have lower proportions of carbs and contain very few calories. ¼ cup of almonds is about 8 grams of protein. Salmon is another recommended source of protein but we all know how expensive it can get. Tofu for vegetarians is another great source of Protein since half a cup of tofu has 20 grams of Protein. But again how easily is the fresh variant available? Peanut Butter is not mentioned in the book but I know of many many people who eat it as a source of protein. But you have to be careful of the extra sugar that is added to make it sweet. It does have good fats but either you make a jar of your own at home or best is to get an unsweetened peanut butter which is expensive. The book makes a mention of the fact that it’s not that vegetarians need more protein than the meat-eating runners. But you need to be diligent about meeting your needs. Some proteins are considered incomplete, because they don’t contain all 9 amino acids. For example – Kidney beans (Rajmah) are best eaten with rice as the combination provides the amino acids you need to repair tissue and stave off injury! So accumulate a a variety of proteins through the day. Try as much as you can to stay away from processed proteins like bars and powders. However because Protein is so critical to muscle repair and appetite regulation, it’s better to grab a protein shake than to skip it altogether! Hope the above was useful to every runner out there and to every runner trying to lose weight! You are welcome to share the sources of protein that have worked wonders for you but just keep the availability factor in mind! Could you list out the “Indian” recepies that are complete in terms of amino-acids (just like Rajma – Chawal make a complete combination)? As usual a great article. Thanks for sharing. Excellent article. Very Informative. Thanks for thia. IS THIS BOOK AVAILABLE ONLINE. I AM INTERESTED TO GET ONE. Could you list out some of the complete protein recepies for us (like Rajma + Rice)? What are other combinations that have protein with all amino acids?